HI! 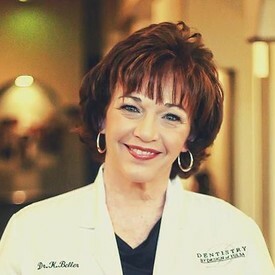 I am Dr. Kathryn E. Beller, the owner of 81st Street Dental of Tulsa, Inc., where exceptional dentistry and customer care is my priority. I want you to feel like a part of our family when you walk through the front door. As each individual person is different, so are our dental needs unique. I am committed to the care you and your family need that is tailored to your specific needs and desires. I grew up in Tulsa but moved away from Oklahoma for 14 years. During that time, I lived up and down the East Coast while raising a family. I always had an interest in dentistry as I worked in the dental lab field for a few years. I earned my Bachelor of Science degree in Microbiology from the University of Oklahoma and my Bachelor of Science degree in Medical Technology from Old Dominion University in Norfolk, VA. After moving back to Oklahoma, the timing was right were I then attended the University of Oklahoma College of Dentistry. I also completed an Advanced Education in General Dentistry (AEGD) residency at the OU College of Dentistry. After completion of my residency, I returned to Tulsa where I was raised. I have two beautiful daughters, Emily, who with her husband Eric, have provided me with an exceptional grandson, Edison. Of course, he is perfect! Carolyn, a proud College of Engineering University of Oklahoma alumni, lives in Houston with her newly adopted puppy, Scooter. And of course, there is Boomer, my adopted fur baby. We have a beautiful and modern office filled with the latest technology to give you the service that YOU deserve. Stop by and see us! I brag about having the best view in Tulsa!